New Combo Vending Machines vend a variety of your favorite drinks and snacks. 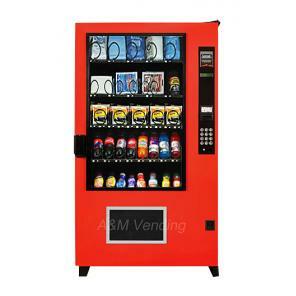 From a small machine such as the Wittern Ultimate Combo to the larger line of AMS Combo Vending Machines. The AMS line of New Combo Vending Machines has different configerations to meet your needs.such as AMS Drink Snack Combo, an AMS Snack Food Combo. an AMS food drink combo, and even an AMS snack drink coffee Combo Vending Machine. A credit card reader can be installed on any of these machines with an optional fee. 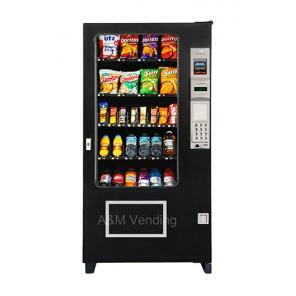 New AMS Combo Vending Machines come with a great parts warranty of three years and we are the manufactures distributor for both lines of vending machines.We have parts in stock and telephone tech support for as long as you own the machine We also have a full line of AMS refurbished combo vending machines. View Below.